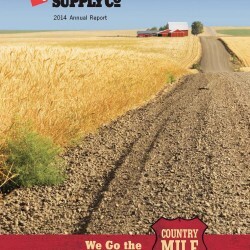 Tractor Supply Company is the largest operator of rural lifestyle retail stores in the United States. The company operates nearly 1,400 retail stores in 49 states, employs more than 21,000 team members and is headquartered in Brentwood, Tenn. Its stock is traded on the NASDAQ exchange under the symbol “TSCO”. The company was founded in 1938 as a mail order catalog business offering tractor parts to America’s family farmers. The Company’s stores are focused on supplying the lifestyle needs of recreational farmers and ranchers and others who enjoy the rural lifestyle, as well as tradesmen and small businesses. 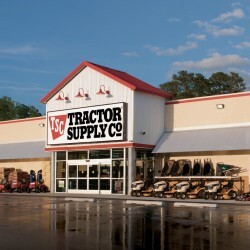 Tractor Supply stores are primarily located in rural areas and the outlying suburbs of major cities. The typical Tractor Supply store has 15,000-24,000 square feet of inside selling space with a similar amount of outside space used to display agricultural fencing, livestock equipment and horse stalls.